Adele Won Another Award Because Duh, But Where's America's Love for Female Musicians? 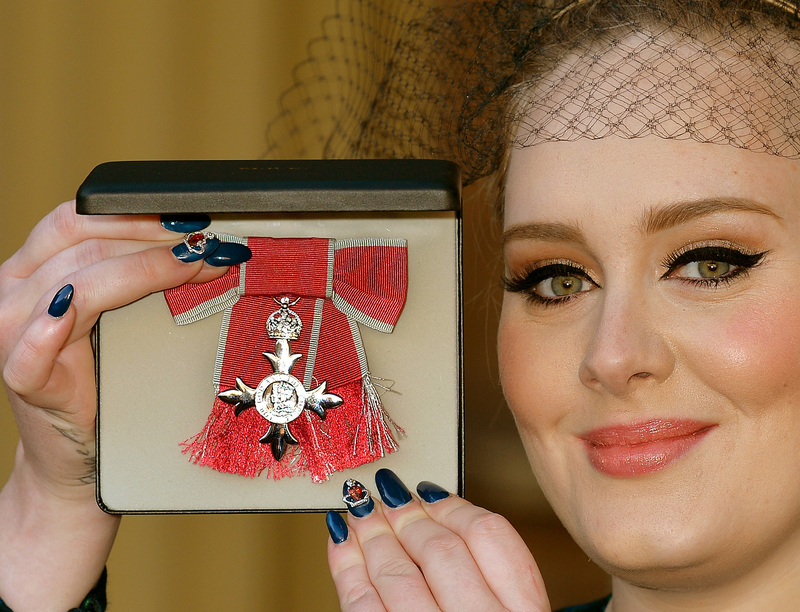 To no one's surprise, Adele won another award for being fabulous, although this one has a bit more prestige than a Grammy: it's a Most Excellent Order of the British Empire that she received today from Prince Charles Himself. It's kind of a big deal — it's one of the highest honors awarded to British citizens, and now she gets to attach an "MBE" onto the end of her name. What's more surprising, though, is that the only musicians to receive the award this year were both women — the honor was also awarded to broadcaster Aled Jones, author Joanne Harris, and most notably to rocker PJ Harvey, who's been making music for decades. Compared to the States, it's nearly shocking. Although the United States has no equivalent honor, it's practically unheard of that the only musicians to receive an award are women. The two most recognized state-supported honors for musicians are the Rock and Roll Hall of Fame and the National Medal of Arts, and the number of female recipients for these awards is fairly dismal. Although the number of inductees into the Rock and Roll Hall of Fame fluctuates — it's been as few as eight and as many as 14 — the maximum number of women that have been inducted in the past 20 years is three (in 1996, with Gladys Knight and the Pips, Jefferson Airplane, and The Shirelles). And although the National Medal of the Arts awards recipients tend be a diverse range of people across the arts, most of the women who work in music who receive the award do so as seasoned performers of music, like Rita Moreno from West Side Story and soprano singer Renee Fleming. The last woman to receive the award who was a traditional recording artist (in the sense that she both wrote and performed songs) was Dolly Parton in 2005. Most honors and awards look to history for their recipients. But in American popular music, that means looking back at an oppressive musical history, one in which artists of color weren't given credit for their contributions and women were discouraged from participating. Giving awards to more of these groups can shine a light on the less-explored aspects of American music and the artists whose voices have been ignored and hidden in time. Catching up with Britain and giving more awards to female musicians can give women artists to look up to and inspire more female musicians in the years to come.